"Through the short term weeks with the students at Mastery, my goal is to have the students leaving with courage, dance terminology, strength, and most of all, fun with discipline. The students are very energetic and eager to learn at Mastery. During class, the students are also able to express themselves by using movement they have learned and also combinations of movement they like to create on their own. 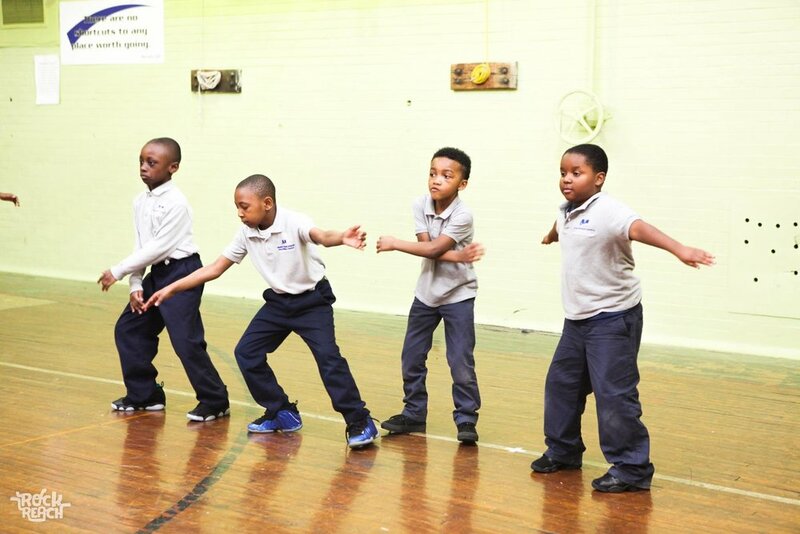 The jazz class starts off with a warm up of jumping jacks. Then we get into head, torso, and hip isolations. We practice a series of jazz arms, box step and kick ball change. Challenging them with crunches and push ups and cross the floor exercises. Then at the end of the class I let the children express themselves by forming a circle. In the circle they are able to express themselves with movement they learned they would like to share."